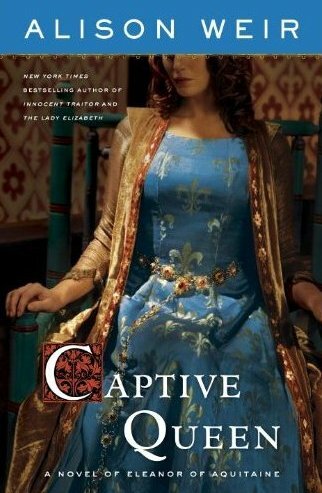 Speaking of the lovely and oh so generous Marcia from The Printed Page, she sent me two ARCs of Captive Queen: A Novel of Eleanor of Aquitaine by Alison Weir and Becoming Queen Victoria by Kate Williams. Thank you Marcia...I've been lusting after these two for a while and I can't wait to read them! SYNOPSIS: Nearing her thirtieth birthday, Eleanor has spent the past dozen frustrating years as consort to the pious King Louis VII of France. For all its political advantages, the marriage has brought Eleanor only increasing unhappiness—and daughters instead of the hoped-for male heir. But when the young and dynamic Henry of Anjou arrives at the French court, Eleanor sees a way out of her discontent. For even as their eyes meet for the first time, the seductive Eleanor and the virile Henry know that theirs is a passion that could ignite the world. Returning to her duchy of Aquitaine after the annulment of her marriage to Louis, Eleanor immediately sends for Henry, the future King of England, to come and marry her. The union of this royal couple will create a vast empire that stretches from the Scottish border to the Pyrenees, and marks the beginning of the celebrated Plantagenet dynasty. But Henry and Eleanor’s marriage, charged with physical heat, begins a fiery downward spiral marred by power struggles, betrayals, bitter rivalries, and a devil’s brood of young Plantagenets—including Richard the Lionheart and the future King John. Early on, Eleanor must endure Henry’s formidable mother, the Empress Matilda, as well as his infidelities, while in later years, Henry’s friendship with Thomas Becket will lead to a deadly rivalry. Eventually, as the couple’s rebellious sons grow impatient for power, the scene is set for a vicious and tragic conflict that will engulf both Eleanor and Henry. Vivid in detail, epic in scope, Captive Queen is an astounding and brilliantly wrought historical novel that encompasses the building of an empire and the monumental story of a royal marriage. SYNOPSIS: In her lauded biography England’s Mistress, Kate Williams painted a vivid and intimate portrait of Emma Hamilton, the lover of English national hero Lord Horatio Nelson. 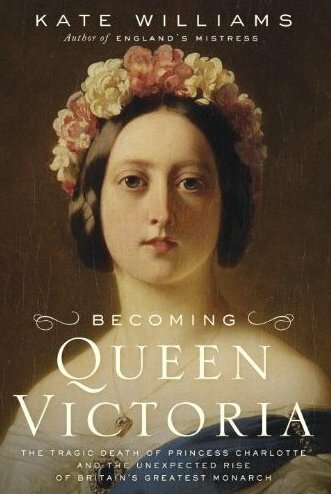 Now, with the same keen insight and gift for telling detail, Williams provides a gripping account of Queen Victoria’s rise to the throne and her early years in power—as well as the tragic, little-known story of the princess whose demise made it all possible. Toward the end of the eighteenth century, monarchies across Europe found themselves in crisis. With mad King George III and his delinquent offspring tarnishing the realm, the English pinned their hopes on the only legitimate heir to the throne: the lovely and prudent Princess Charlotte, daughter of the Prince of Wales and granddaughter of the king. Sadly, those dreams faded when, at age twenty-one, she died after a complicated pregnancy and stillbirth. While a nation grieved, Charlotte’s power-hungry uncles plotted quickly to produce a new heir. Only the Duke of Kent proved successful in his endeavor, with the birth of a girl named Victoria. Writing with a combination of novelistic flair and historical precision, Williams reveals an energetic and vibrant woman in the prime of her life, while chronicling the byzantine machinations behind Victoria’s struggle to occupy the throne—scheming that continued even after the crown was placed on her head. Upon hearing of the death of her predecessor, King William IV, Victoria—in her bold first act as queen—banished her overambitious mother from the room, a simple yet resolute move that would set the tone for her reign. The queen clashed constantly not only with her mother and her mother’s adviser, the Irish adventurer John Conroy, but with her ministers and even her beloved Prince Albert, all of whom, in one way or another, attempted to seize control from her. By connecting Charlotte’s sad fate to Victoria’s majestic rule, Kate Williams lays bare the passions that swirled around the throne—the court secrets, the sexual repression, and the endless intrigue. The result is a grand and satisfying tale of a woman whose destiny began long before she was born and whose legacy lives on. And from Barnes & Noble I picked up The Lady in the Tower: The Fall of Anne Boleyn by Alison Weir. SYNOPSIS: Nearly five hundred years after her violent death, Anne Boleyn, second wife to Henry VIII, remains one of the world's most fascinating, controversial, and tragic heroines. Now acclaimed historian and bestselling author Alison Weir has drawn on myriad sources from the Tudor era to give us the first book that examines, in unprecedented depth, the gripping, dark, and chilling story of Anne Boleyn's final days. The tempestuous love affair between Henry VIII and Anne Boleyn scandalized Christendom and altered forever the religious landscape of England. Anne's ascent from private gentlewoman to queen was astonishing, but equally compelling was her shockingly swift downfall. Charged with high treason and imprisoned in the Tower of London in May 1536, Anne met her terrible end all the while protesting her innocence. There remains, however, much mystery surrounding the queen's arrest and the events leading up to it: Were charges against her fabricated because she stood in the way of Henry VIII making a third marriage and siring an heir, or was she the victim of a more complex plot fueled by court politics and deadly rivalry? The Lady in the Tower examines in engrossing detail the motives and intrigues of those who helped to seal the queen's fate. Weir unravels the tragic tale of Anne's fall, from her miscarriage of the son who would have saved her to the horrors of her incarceration and that final, dramatic scene on the scaffold. What emerges is an extraordinary portrayal of a woman of great courage whose enemies were bent on utterly destroying her, and who was tested to the extreme by the terrible plight in which she found herself. Richly researched and utterly captivating, The Lady in the Tower presents the full array of evidence of Anne Boleyn's guilt—or innocence. 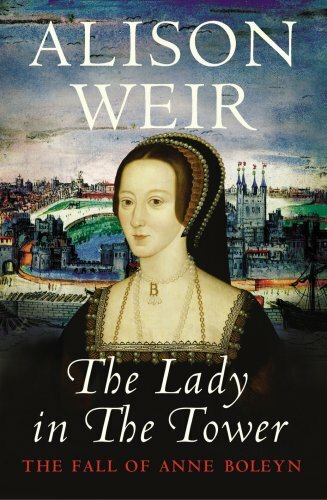 Only in Alison Weir's capable hands can readers learn the truth about the fate of one of the most influential and important women in English history. So dear readers, what goodies came in your mailbox? This week I received HERESY by S. J. Parris. A historical novel based on the life of Giordano Bruno, a fugitive Italian monk at Oxford in 1583 during the protestant rule of Queen Elizabeth I. A murder mystery..
ELEANOR THE QUEEN by Nora Lofts. I am a new follower of your blog (via Roberta @ Con-tain-it)and love it! I've been reading various historical fiction books for several years now mostly about anything related to Henry VIII but have recently enjoyed stories based on Richard III. So, in my mail box, aka Barnes and Noble, I picked up 'The White Queen' by Philippa Gregory and 'To the Tower Born' by Robin Maxwell. They are on my summer reading list, but I don't think I can wait to start reading them! I'd love to read Captive Queen and Becoming Queen Victoria! I loved The Lady in the Tower. Oooh I am so jealous about the Eleanor book! The cover is just gorgeous! I love the sound of Kate William's writing. Thanks for the tip. You got some good ones here! That Queen Victoria one sounds good. I watched The Young Victoria the other night and it really made me want to read more books about her and/or with her as a character. 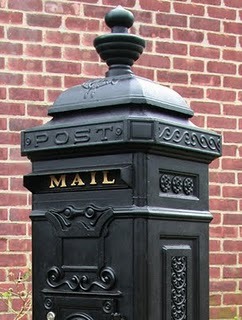 Fantastic mailbox! The Tudors fascinate me, The Lady in the Tower sounds very good.